Sincerity by R Jay Magill Jr argues that we can't shake sincerity's deep theological past, emotional resonance, and the sense of conscience it has carved in the Western soul. 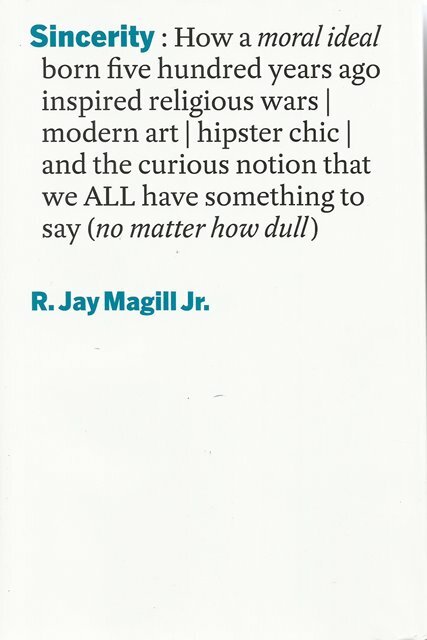 From Protestant theology to paintings by crazy people, from French satire to the anti-hipster movement, Magill navigates history, religion, art, and politics to create a portrait of an ideal that, despite its abuse, remains a strange magnetic north in our secular moral compass. People have long been duped by "straight-talking" politicians, confessional talk-show hosts, and fake-earnest advertisers. 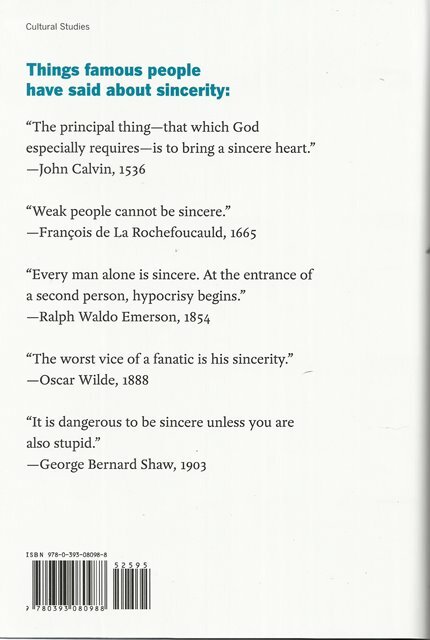 As sincerity has become suspect, the upright and honest have taken refuge in irony. Yet our struggle for authenticity in back-to-the-woods movements, folksy songwriting, and a craving for plainspoken presidential candidates betrays our longing for the holy grail of sincerity.